The fateful day has finally arrive, the day that some have dreaded and some have waited for. 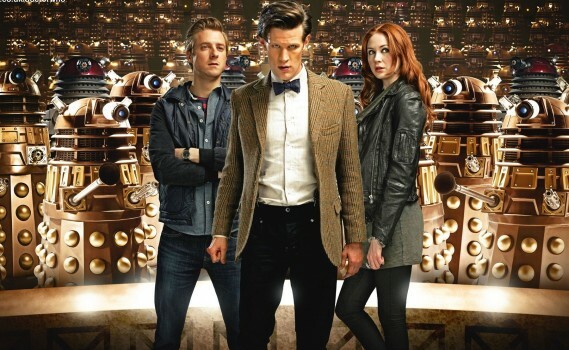 The departure of Amy and Rory Williams (though they will always be Ponds to me) has been hinted at all season and it is no secret that in the fifth episode of Season 7, titled The Angels Take Manhattan, marks the end of Rory and Amy’s time with the Doctor (Matt Smith). Not only does this episode contain Amy and Rory’s departure, it also features the return of River Song (Alex Kingston) and one of the Doctor’s most infamous villainous races, the Weeping Angels. The entire episode is set in Manhattan, though not all of it is set during the same time period. The episode begins with what seems to be yet another random vacation for the Doctor and the Ponds as they lounge around the park reading, drinking coffee and enjoying each other’s company. 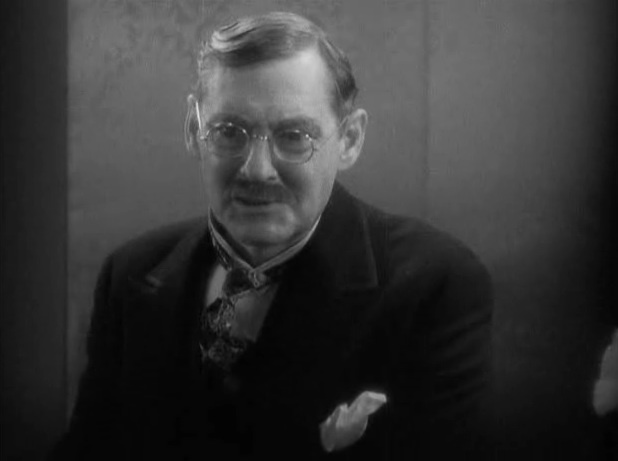 The episode begins when Rory goes to get more coffee and he ends up in 1938 rather than 2012 where he started. With the help of River Song, the Doctor and Amy make their way back in time to find that New York City has been taken over by the Weeping Angels. Quick side note on the Weeping Angels in case any readers aren’t familiar. The Weeping Angels are stuck in time, incapable of movement if anybody is looking at them. Super fast and deadly hunters, the Angels are free to move as long as nobody is looking at them. They have two main forms of attacks. The first is a physical attack and the second is the ability to send a person back in time with just a touch. In this episode, the Angels are slightly different than when we are first introduced to them, back in the days when David Tennant was the Doctor. In this episode, the Angels’ movement is not quite as free as normal. In previous episodes simply blinking puts you in danger from the Angels attacks but now it seems that only darkness and actually looking away from them allows them to move. Though this change made the Angels a little less intense, the episode made up for it with the plot. When a person is displaced in time, specifically when the Angels displace somebody in time, a tremendous amount of energy is released and the Angels feed off of that energy. After taking over every statue in Manhattan, the Angels have created their own energy farm. The Angels have found a way to displace people to a certain location, a location where they will be trapped forever until they die of old age with the Angels feeding off of them as they age. Now the Angels have their sights set on Rory. If the Angels touch Rory again, he will be sent back to the Farm they created to age alone forever and never see his wife again. After seeing his aged body expire, the only way to escape his seemingly inevitable fate is to create a time paradox, erasing everything that the Angels did to him. Even if he does manage to create the paradox, Rory will have to spend his entire life running, running away from the Weeping Angels dead set to capture him forever. Now comes the part of this post where those that haven’t seen the episode may want to stop reading because I am going to talk about Amy and Rory’s tragic exit from the show. As is tradition with companion departures, and I’m thinking of Rose Tyler and Donna Noble in particular, Amy and Rory leaving left me absolutely devastated. Rather than simply running for the rest of his life, Rory decides that if he ended his life, making it so that he died twice on the same day, the paradox would be created and the building, therefore his death, would have never happened. Not able to let Rory risk his life alone, Amy decides to end her life with him, reasoning that the paradox will save both of them. They create the paradox and everything works as they planned with the Doctor, River, Amy and Rory all showing up alive and together. Just when everything seemed to be safe, a rogue angel that wasn’t destroyed the paradox touches Rory, sending him away where the Doctor can never see him again. Unable to live with out him, Amy gets touched by the same Angel, creating a fixed point in time where the Doctor can never see his two Companions again. Heartbreaking and tragic, I once again had the displeasure of feeling defeated after an episode of Doctor Who, though it was the best episode of the season so far. With some outstanding performances and a plot that once again proved the brilliance of Doctor Who writers, this episode may be my favorite Matt Smith episode to date. Though it was sad to see Amy and Rory go, the episode gave Amy a real chance to definitively prove her devotion to Rory rather than the Doctor. She chose to spend her life with Rory forever, never being able to see the Doctor again. I was getting tired of Amy Pond but it was still terrible to see her go. The Doctor has lost more Companions and didn’t even get a chance to really say goodbye to them. Though he will be devastated, the Doctor will continue to do what the Doctor does best, saving the universe. He will find another companion, of that I am sure. We have to wait until Christmas for the Doctor’s return but when he does, the Doctor will be as amazing as ever. 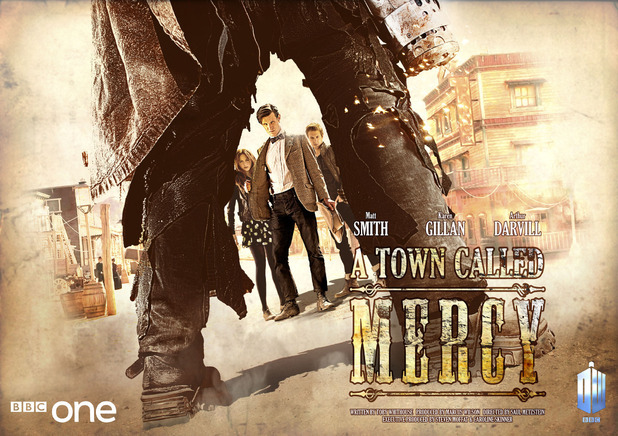 This week’s episode brought the Doctor (Matt Smith) to Earth, specifically to the town of Mercy in Western America. The Doctor arrives in town, which is surrounded by a manmade circle of stones and logs, only to be thrown out upon announcing his name. It turns out the town is under the attack of a cyborg they refer to as the Gunslinger (Andrew Brooke). An honorable killer, the Gunslinger will not cross the line surrounding the town, only killing those that cross said line. He has made it very clear that his main target is a doctor, an alien doctor. Convinced the cyborg is trying to kill the Doctor, the townsfolk attempt to leave him for dead to protect their own lives. Saved at the last minute by Mercy’s marshal, the Doctor finds that the town has already found an alien doctor, a Kahler-Jex (Adrian Scarborough). Jex came to Mercy during an outbreak of cholera, using his advanced technology to save many people in Mercy. Due to his service in the town, as well as him bringing heat and electricity to the town before its time, the sheriff will not turn in over to the Gunslinger. As always, the Doctor decides to lend a helping hand and discovers the truth about the Gunslinger. After torturing and experimenting on a species of humanoids, Jex created the Gunslinger and others like him to end a war. The Gunslinger must kill Jex to bring him to justice. This episode focuses on the Doctor’s morality. 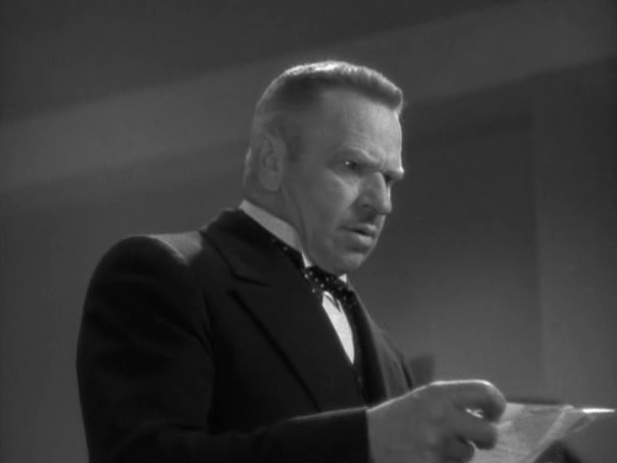 Upon discovering the horrors that Jex committed, the Doctor’s immediate reaction is to kick him out of town and leave him for dead. While Jex did commit horrible crimes, he did it to end a horrible, seemingly endless war. On top of that Jex is a doctor, a man who has dedicated his life to helping people. Mercy owes Jex a debt for his ability to get them through a cholera outbreak, something they were not equipped to deal with. The dilemma at the center of this episode perfectly defines the difficulty of being the Doctor. 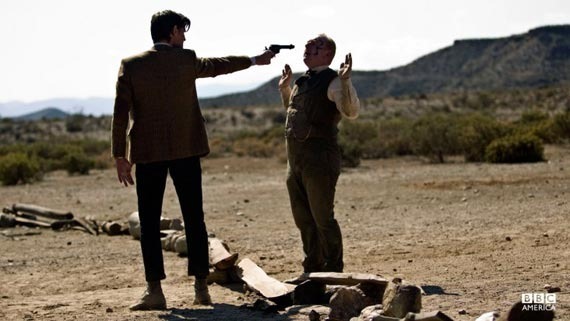 The Gunslinger becomes tired of waiting and gives the Doctor an ultimatum; Jex is delivered to him or he starts killing without remorse for innocents. Again, a horrible decision is left to the Doctor. If he cannot find a way to stop the Gunslinger he will have to either turn Jex over, basically condemning the man to death, or risk the Gunslinger attacking Mercy. 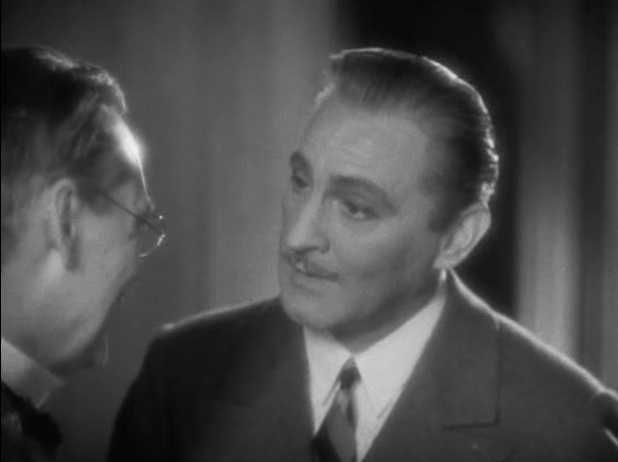 It is obvious that the situation weighs on the Doctor for he wants to turn over Jex but there are things that stop him. While the physical battle in the episode is against the Gunslinger, the real battle takes place in the Doctor’s mind. Rory (Arthur Darvill) and Amy (Karen Gillan) took a backseat in this episode which is alright after last week where Rory piloted a spaceship with his father and Amy managed to survive without the Doctor and even lead the people she was with. Amy and Rory were still there but acted more as background characters, letting the Doctor once again take center stage like he deserves to do. Next week’s episode is titled “The Power of Three”, a title that makes me excited for endless number of things it could refer to. My first though is the power of the Doctor, Amy and Rory. The previews for the next episode seem to hint at Amy and Rory’s inevitable departure, something that promises to be outstandingly devastating, like most companion departures. This week’s episode of Doctor Who can be aptly described by its title, “Dinosaurs on an Spaceship.” When an unknown, unresponsive spaceship heads towards Earth in the future, Earth sends out a distress call to the Doctor (Matt Smith). Telling the Doctor that he has six hours to stop the spaceship from crashing into Earth or the ship will be fired upon, the Doctor gathers the troops. Rather than just gathering Amy (Karen Gillan) and Rory (Arthur Darvill), the Doctor brings two new companions to the battle, the African big game hunter Riddell (Rupert Graves) and Queen Nefertiti (Riann Steele). While picking up Amy and Rory, the Doctor accidentally brings Brian Williams (Mark Williams) along with making Rory’s father the second parent to be accidentally transported through time and space on the TARDIS. Landing the TARDIS on the unknown ship, the group finds it uninhabited by anybody that could pilot the ship. The only life forms on the ship are dinosaurs. Upon further investigation the Doctor finds a smaller ship has boarded the large ship. The Doctor has to find out what happened to the inhabitants of the spaceship, figure out how to gain control of the spaceship and defeat the episodes villain, all while dealing with dinosaurs on the spaceship. Just like the first episode this season, this episode was fairly light hearted throughout almost all of it. With quick witted jokes and quick snappy dialogue, the episode was amusing and intense. One aspect of the show that I really liked was the small Harry Potter reunion. Brian Williams was played by Mark Williams who was Mr. Arthur Weasley in all of Harry Potter films. 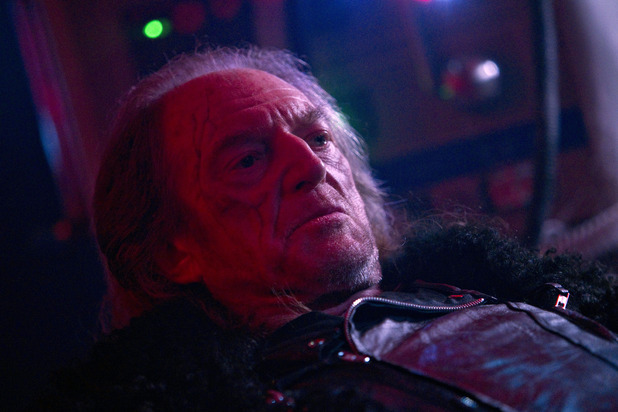 This episodes villain, Solomon was played by David Bradley who was Argus Filch in the Harry Potter franchise. David Bradley played a great villain, a remorseless psychopath dead set on getting whatever he wants by whatever means necessary. Though he doesn’t react as much as I wanted him to when he is transported in the TARDIS, Mark Williams was a perfect person to cast as Rory’s father. Not only do the two look somewhat alike, or at least enough to make them believable as relatives, Mark Williams even copies some of Rory’s mannerisms and actions. There were no real hints towards a season long plot save the Doctor distancing himself from Amy and Rory. His visits to Rory and Amy are getting further and further apart. Though he plays it off as if he is just busy, I have a theory as to why the Doctor is not visiting as often. I believe that the Doctor realizes that eventually he is going to have to leave Amy and Rory so he is starting to distance himself to make the moment when the part ways easier. This theory comes from a single look between the Doctor and Amy towards the end of the episode where they are each forced to consider the other’s mortality. It is a beautiful scene that hints at Amy and Rory leaving the show, something we all know is coming. There was only one aspect of this episode that I didn’t like. Just a few minutes after they get on the spaceship, the Doctor, Rory and Brian get separated from Amy, Riddell and Nefertiti. While investigating the ship without the Doctor, Amy begins to talk and act like the Doctor, explain complicated things that she has no business knowing. The writers try to say that because Amy has been hanging with the Doctor so often that she is picking up some of his knowledge but I couldn’t help but think that Amy should not be explaining these things to me. I did not like the new knowledge that Amy seemed to develop out of nowhere. Next week we finally get a true Western episode. The writers and creators have had Matt Smith wear his cowboy hat in a number of different episodes and now we get a Western episode. It is called “A Town called Mercy” and will have the Doctor go up against a cyborg who simply calls himself the Gunslinger. As always I will be counting down the minutes until the next episodes and will let you know what I think of it. Alright, for any of you that don’t already know this, I am a huge nerd and for those of you who don’t believe that, I’m going to prove it to you over the next couple of months for today, September 1st 2012, the newest season of Doctor Who premieres on BBC America. And I plan on writing a post about every single episode. While I will do my best to avoid any spoilers (has the word ever been more appropriate) from the new episodes, it is going to be difficult to avoid spoilers from any old episodes. This post will have a number of spoilers from seasons five and six because it’s difficult to talk about the new season without referencing the previous ones. When we last left the Doctor (Matt Smith), Amy Pond (Karen Gillan) and Rory Williams (Arthur Darvill), the Doctor had to face his own death. Forced by the Silence to kill the Doctor, River Song (Alex Kingston) dressed as an astronaut appeared out of a lake to kill the Doctor. In a last minute attempt at defiance, River managed to drain the suits power to save the Doctor’s life. Where in most shows saving someone’s life would be a good thing, saving the Doctor’s life stopped time which basically meant the end of the world. As always, the Doctor ends up saving the universe and surviving the process, even though in this case saving the universe meant the Doctor dying. In another clever Doctor moment he enlisted the help of the Teselecta, a shape changing robot that is controlled from the inside by shrunken, miniature people. The Doctor has the Teselecta change its appearance to look like him and hides inside of it, making it seem as if he was killed only to escape and go into hiding. The premiere of Series 7 of Doctor Who begins with the reappearance of the Doctor, replying to a distress call on a world run by Dalek’s. Realizing that the distress call is a trap a few moments to late, the Doctor is “acquired” by the Daleks. Amy and Rory then make their first appearance since last season, giving the audience the sad news that their marriage is on the verge of coming to an end. The story is not long for Earth because the Daleks also quickly and efficiently “acquire” Amy and Rory as well. Amy, Rory and the Doctor have a strained reunion as they meet in a Dalek jail cell seconds before they are thrown into the center of the Dalek Parliament. Surrounded by an overwhelming number of Dalek’s and assuming that he is about the be attacked, the Doctor is shocked when the Dalek’s ask him for help. There is a planet, a planet known as the Asylum of the Daleks where any Dalek that has gone insane or can no longer be controlled are put. The Asylum is made up of the entire planet and it is surrounded by a force field so that nothing can get out. The problem that the Dalek’s need help with is the destroying the Asylum. Somehow, a spaceship crashed through the force field, leaving a hole in which the insane Dalek’s can escape through and all the Dalek’s in the Parliament are too afraid to go to the planet themselves. The Doctor’s mission, with Rory and Amy of course, is to go to the Asylum and turn off the force field so that the planet can be destroyed. Immediately when arriving on the planet, the Doctor receives a message from a woman named Oswin that has the odd ability to hack into any part of the Asylum. As the Doctor attempts to save Oswin, shut down the force field and save Rory in Amy’s marriage, not necessarily in that order, the trio encounters crazy Dalek’s, a terrifying maze-like asylum, a force field that can turning human’s into Dalek-human hybrids and a terrifying new Dalek weapon that is sure to return later in the season. Though he goes through many trials, the Doctor is given a leg up on the Daleks that will change the way they interact with him forever. If this episode is any indication of how the rest of the season is going to be, we are in for a great ride. At some point this season, Rory and Amy will be leaving us which I will be alright with. The show has been focusing on them too much and Matt Smith needs his time to shine but more on that in further posts. I am counting down the hours until next week, when we are given episode two, titled “Dinosaurs on a Spaceship.” If you haven’t seen the first episode this season, find a way to watch it so you can stay caught up. Four seasons, four full seasons of television have been building to this series 4 finale. Like cockroaches, the Daleks somehow managed to survive, return to power and threaten the entire universe This time however, the Daleks returned with their creator, Davros, and have found a way to wipe out all of reality. By stealing planets and aligning them in the correct order, the Daleks have created a power source capable of enhancing their reality bomb (a weapon with the ability to destroy reality) to reach the entire universe. To save the day, the Doctor and his companions must band together and destroy the Dalek’s new empire. The Doctor’s companions seem to crawl out of the woodwork when the Earth is stolen and humanity itself is threatened. Official companions Donna Noble, who is the Doctor’s companion for all of Series 4, Sarah Jane and Martha Jones, the Series 3 companion, ban together to help save the Earth. 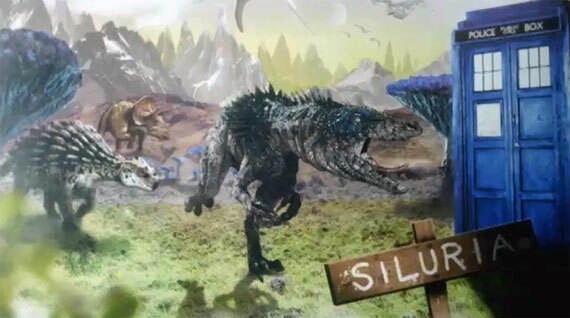 Unofficial companions also join the battle. Captain Jack, head of Torchwood, returns and puts his inability to be killed to good use. Mickey Smith returns from the parallel universe and even brings Jackie Tyler. Though it was nice to see all the mentioned characters again, nothing made me happier than seeing the triumphant return of Rose Tyler. This hour long episode of Doctor Who was the most enjoyable hour of television I have had the pleasure of watching. Each character that returned was a wave of happiness and nothing was more satisfying than seeing the Doctor and his companions fly the TARDIS, and with it the earth, home. No episode better showcases the wit, skill and absolute brilliance of the Doctor Who team of writers. Everything that Doctor Who fans crave happens in this episode. Rose Tyler returns across a universe to see her Doctor one more time. Donna Noble finally realizes how important her role in the universe is. 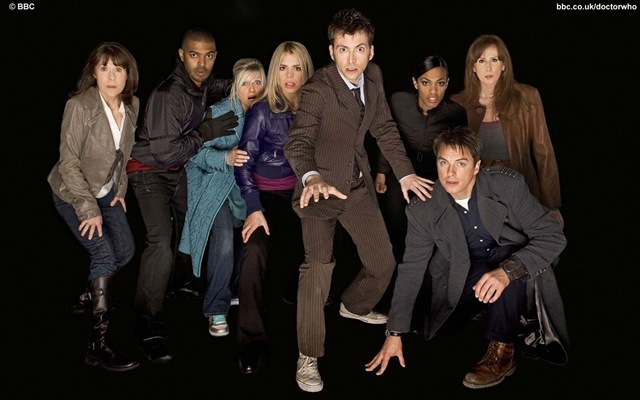 The Doctor’s secret army, his companions whose lives he has changed forever, ban together to save the Earth in the Doctor’s absence and they all survive (except for Captain Jack but death doesn’t really faze him). Despite all of this however, the show cannot leave us with simple happiness. Once again, the show left me devastated. Last time it was Rose Tyler leaving the universe but this time it was Donna Noble. After a full season of self doubt and some fairly horrible events (getting a “fake” family in the library, having her history rewritten, destroying Pompei ect.) Donna is finally given her moment to shine. Inadvertently sparking some of the Doctor’s energy, Donna becomes the first half human half Time Lord. Using the knowledge she gained from the Doctor, Donna single handedly saves all of reality. Releasing the Doctor and his army, Donna helps to right the wrongs the Daleks caused and returned everybody to their rightful places. Once the day is saved and Donna’s rightful place in the universe is revealed, it becomes clear what sacrifice she must make. Reality could have only been saved by a human Tim Lord but there is a reason a human Time Lord has never existed. Donna’s mind cannot handle the knowledge and power that comes with being a Time Lord. To continue living, she must forget that she is a Time Lord which means she must forget anything that could remind her of the Time Lords. To save her life, the Doctor must erase every memory of himself and their time together from Donna Noble’s head. Where Rose Tyler was originally stuck in another world without the Doctor, she at least had her memories with him. 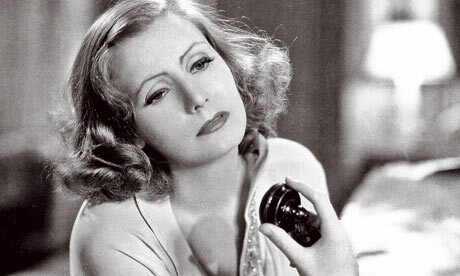 Donna is afforded no such luxury. Instead, to keep her alive, the Doctor himself must wipe every happy memory they had together from her mind. Doctor Who proves itself to be an outstanding television show. Easily taking me through a vast range of emotions in a single hour, this finale makes me wonder what is going to happen to this amazing show when David Tennant lets go of the reigns and the Doctor regenerates.